Now that the HTC 10 is here with us, lets take a look at some of its features as we know HTC rarely disappoints. First of all, the phone comes out of the box with latest android 6.0 marshmallow operating system and will be receiving OTA update for next android OS (Android ndroid N) which is expected to be launched later in 2016. 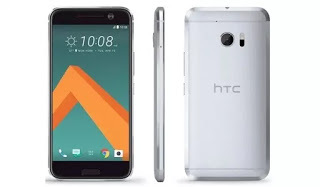 HTC 10 also features a massive 4GB RAM, placing it among the fastest smartphones launched this year and to make it even more faster, the manufacturers used the almighty Qualcomm Snapdragon 820 processor on the device. It is a perfect device for Ntel 4G LTE and VoLTE data plans and calls as it comes with the 4G LTE Network. It features a 12MP primary camera and fingerprint technology. Below is a rundown of the complete HTC 10 smartphone. Having seen the features of this phone, what do you think about the specs of this latest HTC device?